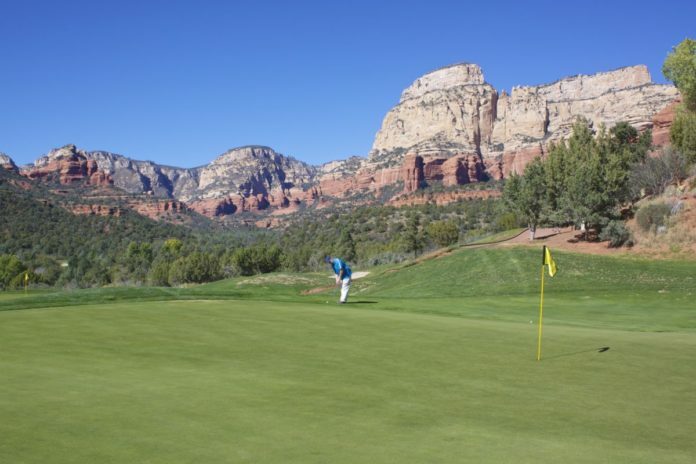 Whether you’re looking for a backcountry adventure or a relaxing retreat, The Ridge on Sedona Golf Resort is an ideal destination. It boasts spacious accommodations, resort-style amenities and all the comforts of home. You can explore one of Sedona’s famed trails on a hike or Jeep tour. Golfers can enjoy the challenging 18 hole golf course located directly adjacent to the resort. Relax by the outdoor heated pool, There are tennis courts along with fishing, shopping and casinos nearby. The resort is currently having a sale with discounted rates. You must book your room online to get the savings. You can realize substantial savings on select dates.